Is hepatitis C virus micro-elimination feasible among prison populations? Let’s look at the world’s first prison to eliminate hepatitis C! Home &sol; POST ARCHIVE &sol; Is hepatitis C virus micro-elimination feasible among prison populations? Let’s look at the world’s first prison to eliminate hepatitis C! Prisoners and former prisoners are much more likely to have hepatitis C than the general public; if they didn’t have HCV when they went in, they are likely to contract it there. However, the upside is that prisons are a GREAT place to treat (cure) HCV! To meet the World Health Organization (WHO)’s goal of eliminating HCV by 2030, individual countries and smaller groups are formulating plans to “micro-eliminate” HCV within their own small group. It would be helpful for them to draw upon the experience of an Australian prison, which demonstrated both feasibility and models of care, as the first prison to actually eliminate hepatitis C.
On October 2, 2018, HepCBC was delighted to attend a Vancouver presentation by Sofia Bartlett, PhD, about her team’s HCV micro-elimination project at a prison in Australia which can be a model for other discrete populations, with particular attention to the specific conditions found in prisons. Dr. Sofia Bartlett, advertising the WHO goal of NoHEP! Dr. Bartlett, who participated in a prison’s HCV micro-elimination project, is a lecturer at Australia’s Kirby Institute and currently a postdoctoral fellow at the University of BC and the BC Centre for Disease Control (UBC/BCCDC). Dr. Bartlett’s own father contracted HCV during a period in his twenties (1970’s) in which he injected drugs and was in and out of prison. He has since been cured; this personal history enhanced Dr. Bartlett’s enthusiasm and passion for this lifesaving project which she hopes will serve as a model for many others to come. Sofia Bartlett and her father in 1996. Geographic areas such as a particular province, city, region, First Nations reserve, or distance from a treatment centre. The more targeted the treatment and/or prevention intervention is, the more quickly, cheaply, and efficiently elimination can be achieved. More than 30% of Australia’s male inmate population tests positive for HCV. Lotus Glen Correction Centre (LGCC) has 800 beds for men; 80% of its population identifies as aboriginal or Torres Strait Islander. It includes low, medium, and high security inmates. Inmates are given hepatitis C testing upon entry (they can opt out), and if found positive, all are offered treatment. One nurse on staff has the “Hepatitis Portfolio”; he monitors all patients and serves as a liaison with off-site or visiting nurses, physicians, and pharmacists. A hepatology nurse comes in from Cairns twice a month, and once a month, one of two sexual health physicians visits from Cairns. Upon their release, patients are given a letter to take to their community health care provider detailing their hepatitis status (SVR, need for HCC monitoring or harm reduction, etc.) to ensure seamless engagement with care. These medical interventions take place within a fully-engaged “Health Promotion Team” including community groups (which are involved starting with the initial planning stage), training for all LGCC staff (open forum and group sessions), and an onsite monthly men’s health group which includes a story-telling (‘yarning’) sharing circle. Key to this is coordination of a region-wide “treatment scale-up” program and a clearly-defined system of linkage to care upon release. 119 inmate-patients at LGCC were treated with DAA therapy between Mar. 1, 2016 and Dec. 31, 2017 (22 month period). Median age was 34, 12% had cirrhosis, 75% were treatment-naïve, and the most common genotype (61%) was 3a. Eight different DAA treatment regimens were used, the most common of which (41%) was 12 weeks of sofosbuvir/daclatasvir. Of those who completed treatment and were not lost to follow-up, 97% were cured (achieved SVR-12). The most relevant figure for the goal of elimination is the “Point of Prevalence” figure. HCV Point of Prevalence was 12.52 % at the beginning of the study and 1.07% at the end. As needed, on-treatment monitoring by a clinical nurse specialist. There were 2 full-time nurse specialists which traveled among the 14 institutions with a portable Fibroscan; emphasis was to minimize need for prisoner movement by treating as much as possible locally. They treated both HCV and HBV. Interface with supervising hepatologists could be either face-to-face or via tele-medicine. Remove systemic barriers to accessing health services & completing treatment e.g. minimum sentence length eligibility, prescription dispensing fees, etc. What about BC’s correction facilities? Provincial level approximately 18% among males, 30% among females. They estimate there are approximately 550 people with HCV infection in BC’s provincial prisons. In short, we really can do this if we set our minds and energy to it, and all work together on this one simple goal, to eliminate Viral Hepatitis from the world, simply starting WHERE WE ARE. If you are a prison employee or inmate, or a friend, family member, or ally of an inmate, consider joining with others to eliminate hepatitis C in your institution. We have the research now to start successful programs. Dr. Bartlett’s presentation will be put online very shortly. HepCBC will publicize the link as soon as it is available. 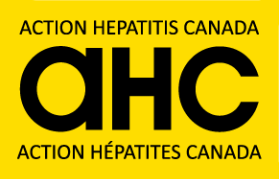 Note that HepCBC has a Viral Hepatitis Prison Outreach Program which includes visitations to both Federal and Provincial prison health fairs, an education Colouring Book and Art Contest, a brochure, and a toll-free support line. For more information, see www.hepcbc.ca/prisons/ .